Thus, creating buzz over and over again and as a result, ready to do a big bang at the domestic level. Adding to the expectation, Ranbir is expecting it to become the highest grosser among his films till date. Heavy promotions were done to promote the big budget film, starring ex-love birds – Ranbir and Deepika, which has resulted in heavy attraction by the audiences. As per the estimates, the flick registered about 70% advance bookings for Friday shows. Tamasha hit the box office at a total number of 2100 screen only in India while the screen count is different for the overseas markets. Its trailer helped in garnering the attention of the movie freaks and on its release day, the audience reached the theatres. Several houseful shows have been reported across the nation. This is another directorial venture of Imtiaz Ali (Highway fame). He directed one more love saga with two ex-lovers in lead roles which has started getting positive word of mouth from the fans and audience. It is a good sign for the film and the makers as it will now mint more for the first weekend. Bollywood productions have now started expanding their territories around the globe. It will do much better business on Friday as compared to ealier movies of Ranbir worldwide. The trade analysts are expecting it to break the Yeh Jawani Hai Deewani opening box office record. YJHD collected Rs. 19.81 crores on its first day of release. The exact figures will be updated soon as soon as the official numbers are released. 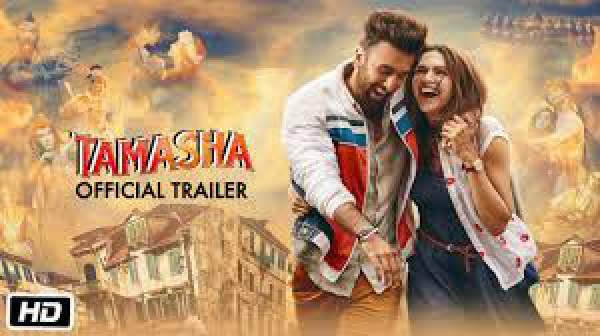 So, stay tuned to get latest and updated Tamasha box office collection on daily basis. konse gole se aye ho? Reporter Times ! Pakistani Reporter hai kya? 1. 40% occupancy (max.) on 1st Day. 2. Film is receiving NEGATIVE word of mouth ! 3. 1st Day collections will be in the range of 9 to 10cr only.